In the world of sports, we often tout the number of physical hours that must go into training. While we throw around words like “mental toughness” and reuse the famous quote “winning is 90 percent mental”, it’s not often that we discuss the effects of those concepts, or what they really mean. Our focus on these ideas have resulted in a willingness to commit numerous hours to the physical pursuit of athletic success; we have begun to integrate recovery as a part of physical training, and we have made significant advances in our strength and conditioning as well as athletic training spaces. Unfortunately, we far too often fail to place the same level of importance on the training of our minds, which can fall prey to the stressors in our environment, the poor choices we may make to cope with challenges, and/or our genetic vulnerabilities. We neglect the mental training, preparation, and recovery that is necessary for success. 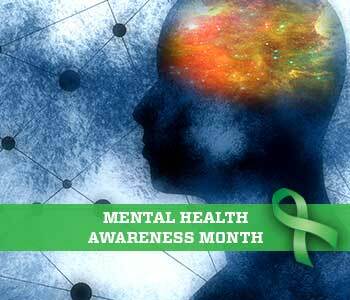 The month of May as “Mental Health Awareness Month” continues to gain traction, and it has been encouraging to watch the growing list of organizations shade themselves green or wave their mental health awareness ribbons. However, a simultaneous concern is that when the month of May comes to a close, we will move on, pushing what has been a month long public discussion about mental health back into the corners of shame and silence. How do we instead, continue to move forward, integrating the importance of a focus on mental well-being and treatment into our daily lives? Participate in an annual mental health screening. There are several organizations that conduct mental health screenings. For example, National Depression Screening Day takes place every October, and screening events are held in a number of places throughout the country. More information about National Depression Screening Day and additional yearly screening events can be found here. You can also find many other screening tools online. Just keep in mind that these screening tools are not intended to diagnose or take the place of a mental health professional, but rather provide information. Differentiate between mental health and mental illness. When we hear the term “mental health”, there is often the automatic assumption that the discussion is about “mental illness”. However, mental health exists on a continuum, ranging from marked mental distress to mental well-being, where an individual is enjoying high level functioning and is thriving. Limiting our discussions about mental health to mental illness prevents a proactive approach as well as the mindset that no matter where we are on the continuum, we can always work to get better. For example, it’s not uncommon to hear a healthy person express the desire to become even healthier by exercising more or eating better-don’t think that you must be in distress before you make efforts to improve your mental health. Make the conversation an equal part of your discussions about health. Don’t limit the conversations about mental wellbeing to the month of May, or speak about mental health just in the context of mental illness. Recognize that to truly be “healthy” requires a holistic approach, one that must include the body and mind. When you plan for your annual physical to evaluate the health of your physical body, consider taking a similar inventory of your mental functioning. The more we expand our definition of health, recognizing that mental and physical health are co-dependent, the healthier we all become. Nyaka NiiLampti, Ph.D. is a liscensed psychologist and the Director of Player Wellness at the NFL Players Association.